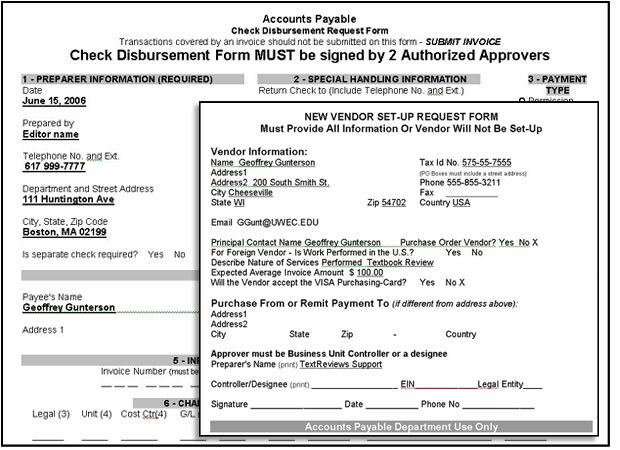 Using TextReviews master templates, instantly generate honorarium payment forms, including vendor set-up and check requests. Managing the honoraria payments is dramatically simplified in TextReviews. All reviewers are displayed on a single screen with their current status and payment history. To process a reviewer, simply click their checkbox and the system will download the information into your set of honoraria payment and/or vendor setup forms.